We have been putting most of our effort into improving the hardware and better analysis of the data. It was realised early on that our pervious methods of using a visual method of aligning 2 images and overlaying them was not suitable. We also wanted to be analyze some or our data down to a second or tenths of a second to check for event matchups. To this end we created scripts in MatLab and spread sheets in Excel to achieve this. These scripts and spread sheets are under constant development as we realise we want to add more options to them. 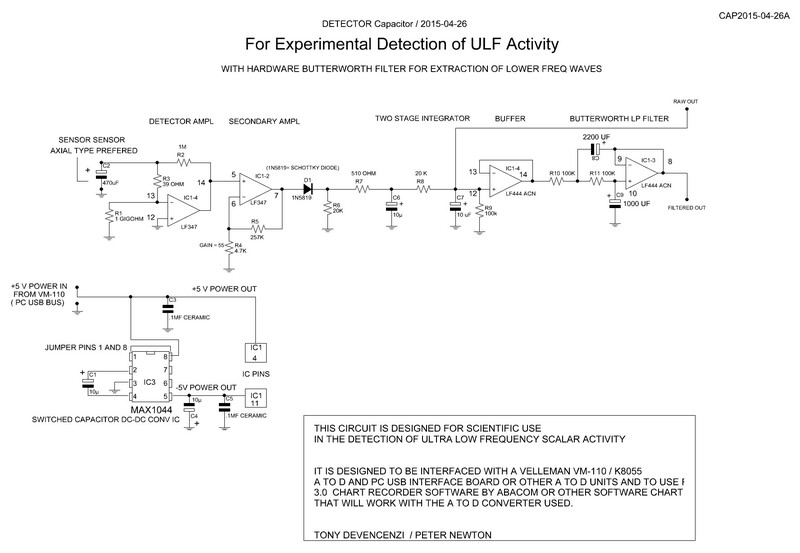 Due to the success we were having with the software Butterworth Filter in cleaning up cluttered data like we are getting from the Capacitor sensor, Tony decided to design a Hardware Butterworth filter with results that match the software Butterworth filter. 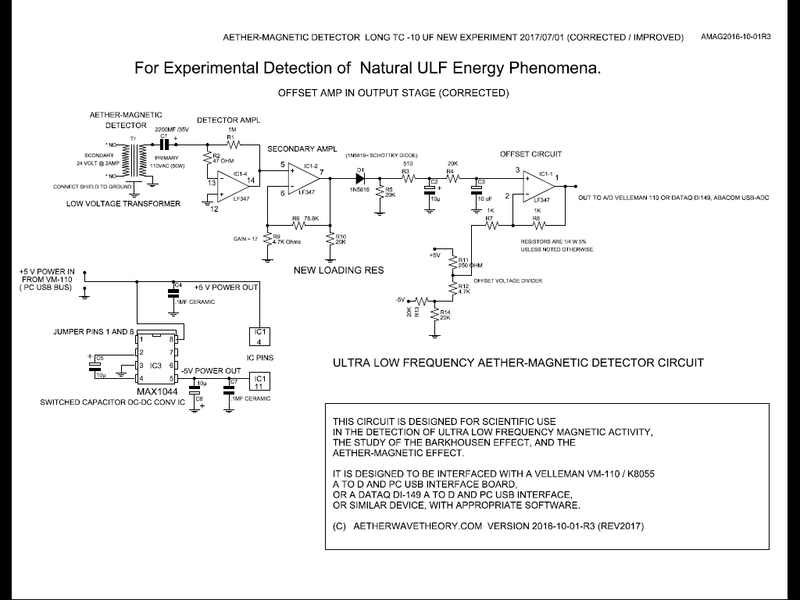 This version of the Aether-Magnetic sensor has an offset circuit on it's output to reduce the offset voltage that this sensor normally produces, by about one volt. Peter has been working with software methods to process and our sensor data, for better analysis. Primarily working with custom scripts written for MatLab and Excel spread sheets. At the time of writing this is the current version of the script. Some of the options are X&Y panning and save image to a PNG file both curtsey of scripts from the MatLab file exchange library. Other options are print image, apply a Butterworth filter and re-plot raw data. When using a single data set you have the options to create a Spectrogram and export the modified data to a CSV file. This script will work on up to a maximum of 6 data set. MatLab have an option that the script can be compiled to an exe file. At the time of writing this is the current version of the spread sheet we are using. Find sources of other data we can import into out charts to compare against. Further develop the current sensors and develop new sensors. Further develop the scripts and spreadsheets and look for new analysis software. look into putting a sensor on the web in near live time.